Remember when I brought you those fabulous lemon cookies a few weeks ago? If you tried them, you know how good they were. But guess what? I wanted to make you another cookie that anyone could enjoy so I combined my lemon cookies and almond flour sugar cookies into one glorious lemon flavored sugar cookie packed with poppyseeds and a sweet, zesty lemon glaze. GUYS, they’re sooooo good! 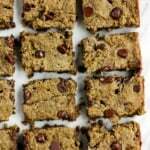 Soft, chewy, gluten free, dairy free and even paleo-friendly! What more could you want? I mean, besides a cold glass of almond milk to pair them with. Or perhaps an almond milk latte?! Mmmm now we’re talkin’. Clearly, my favorite 3pm snack = cookies and coffee. 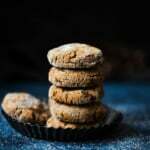 Almond flour: these cookies call for blanched almond flour. There is no substitute in this recipe. 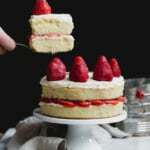 Coconut flour: I like to use coconut flour in my paleo recipes, but if you aren’t paleo, gluten free oat flour is a good substitute most of the time. Baking soda: you’ll just need a pinch for this recipe. Coconut oil: I prefer to use virgin coconut oil in this recipe because it adds flavor, but melted butter or melted vegan butter is a great option! Sugar: granulated or organic cane sugar is best in this recipe. You can use coconut sugar too (more paleo-friendly), but just know that it will change the color of the cookies to a golden brown hue and the flavor may slightly change a bit. Egg: you’ll need one egg, and it’s best if the egg is at room temperature before you bake with it. These cookies work very well with a ‘flaxegg’ if you want to make them vegan. More vegan notes can be found in the recipe note section! Almond extract: a hint of almond extract brings out incredible flavor in these lemon poppyseed cookies. Don’t skip it. Poppyseeds: You don’t need to include poppyseeds in this recipe, but I’m addicted to the flavor and texture it gives the cookies. Make sure to use parchment paper when baking: To make sure the cookies don’t stick to the pan, use parchment paper. Make sure your egg is at room temperature: Simply run your egg under warm water for a minute before using it in the recipe. Don’t forget the lemon zest: the lemon zest is very important to flavoring these lemon poppyseed cookies. Here’s the inexpensive zester I recommend. If you want to make these lemon cookies vegan, simply use a ‘flaxegg’ instead of a regular egg in the recipe (1 tablespoon flaxseed meal + 3 tablespoons water). I’ve tested them and they worked perfectly! If you make these lemon poppyseed cookies, be sure to leave a comment and rate the recipe below! I’d love to hear from you and it helps encourage others to make the recipe too! Thank you — xo! Gorgeous paleo lemon poppyseed sugar cookies made with a mix of coconut and almond flour and topped with an easy, sweet & zesty lemon glaze. The perfect spring treat that's gluten, grain & dairy free! Add in the almond flour, coconut flour, poppyseeds, baking soda and salt. Stir to combine. Let dough sit for 5 minutes. Roll into 12 balls. If you want you can roll each ball in a bit of sugar. Place cookie dough balls 2 inches apart on baking sheet. Gently flatten slightly with your hand. Bake for 10-12 minutes. Let cool completely on baking sheet. If you want to make these lemon cookies vegan, simply use a 'flaxegg' instead of a regular egg in the recipe (1 tablespoon flaxseed meal + 3 tablespoons water). 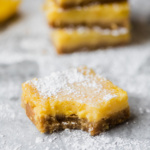 If you want to skip the frosting, you can, but I think it makes these cookies AMAZING and full of lemon flavor. 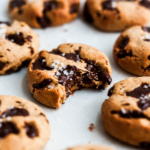 You can use coconut sugar too (more paleo-friendly), but just know that it will change the color of the cookies to a golden brown hue and the flavor may slightly change a bit. 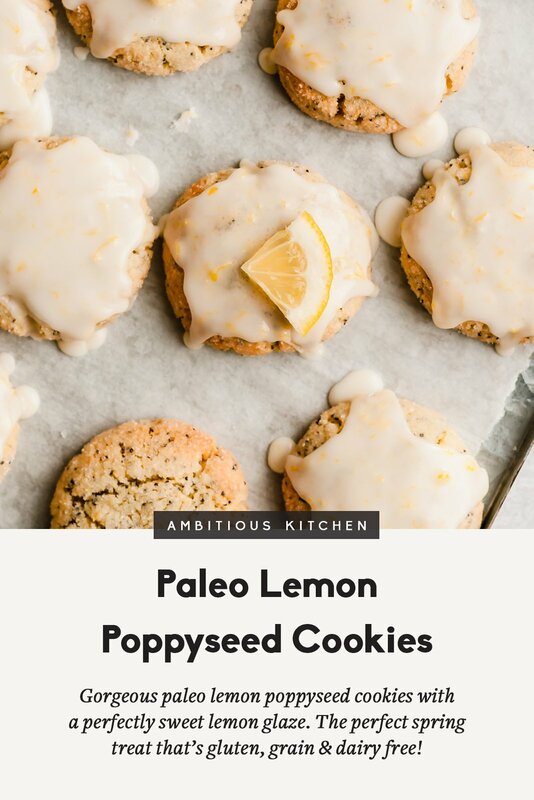 17 Responses to "Paleo Lemon Poppyseed Cookies"
These look delicious! Making them stat!! 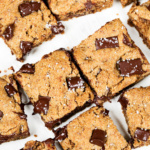 The recipe calls for regular sugar – have you tried making them with coconut sugar or another alternative so that they truly are paleo-friendly? Thanks! Yes coconut sugar will be fine! I made a note of it in the post 🙂 It will just make them a bit darker. 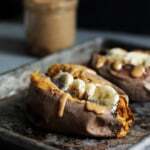 These look amazing and so easy to make! I can’t wait to try them out! Can these be stored at room temperature, or do they need to be refrigerated? How long will they keep? Omg yum they are delicious! These were so easy to make and such a hit! Perfection the very first time I made them. This will now be one of my go-to recipes. So happy I found you on Instagram! Amazing! I’m glad you found me on IG, too 🙂 and hope you find some new go-to’s here! They look good,but I am so tired of recipes calling for almond and coconut flour.I have been paleo,then switched to keto for a short bit and ended up with an allergy to both .Now,every time I ingest either one I break out in itchy hives and tiny pimples all over my body.I believe that overeating certain foods,especially nuts, over time will make people sensitive.